Angesh Anupam, Louise Payton, Emanga Alobwede and Ben Raskin. Campaigners spoke about soil’s important role in the global food system – and the risks we face it continues to degrade – at an event organised by Grantham Scholars. Head of Horticulture Ben Raskin and Policy Officer Louise Payton from the UK’s Soil Association gave talks at the Grantham Centre’s Building UK Soils seminar yesterday (22 July). Ben gave an overview of what makes healthy soil, how it is affected by agriculture and his work with farmers to preserve it. Louise presented figures on global soil degradation and explained some of the problems that affect soil quality in the UK, such as flooding. She then talked about some of the campaigns the Soil Association is leading, including one launched this week about the impact of maize crops on British soil. 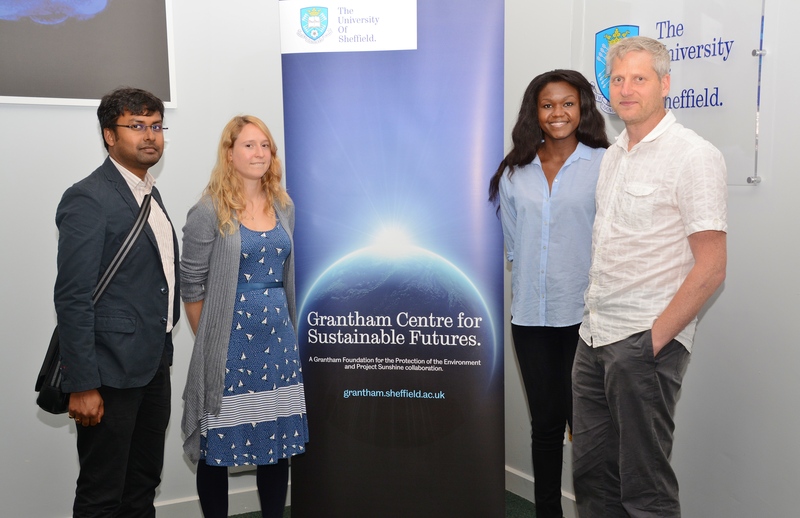 The talks were followed by a discussion, led by the event’s organisers Emanga Alobwede and Angesh Anupam.